You need one Advance Unit for each person you wish to be in communication with. Our standard two-way communication package is shown above (A02R). You can add up to 4 total users into a conversation. All our Advance Units are compatible with one another. You can add on additional users at any time by purchasing additional Advance Units (A01R). Next step is to select the head accessory you wish to plug into your Advance Unit. In order to communicate, you need to plug a headset with a microphone and speaker into the Advance Unit. 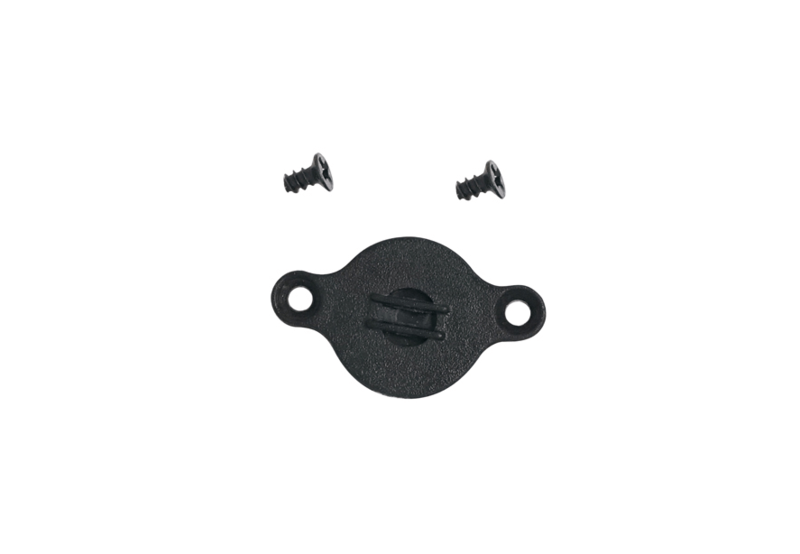 Our head accessories are specially designed to plug into the Advance Unit with a secure waterproof connection. We have a selection of headset’s that are completely waterproof with IPX7 rating. We also have a selection of weather resistant products with IPX5 rating. Below are the head accessories we offer. 2. 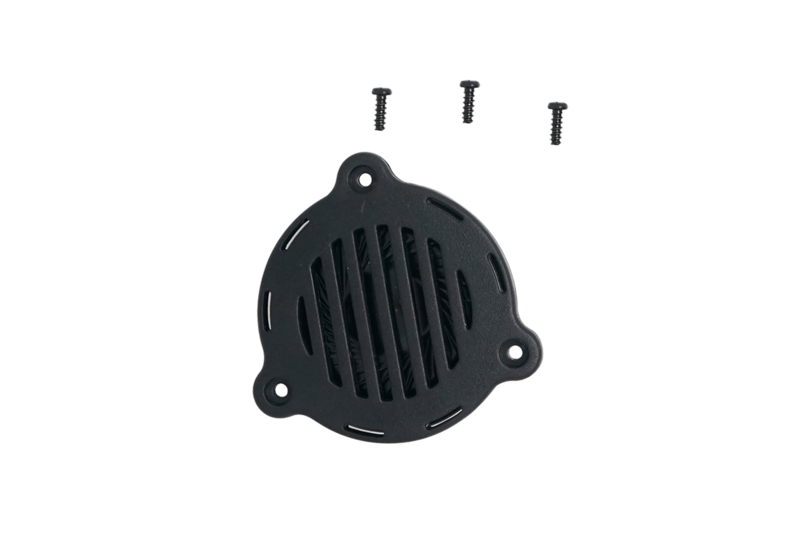 BbTALKIN proprietary waterproof microphone and speaker design keeps them working after being submerged in water. Where Does My Advance Unit Go? 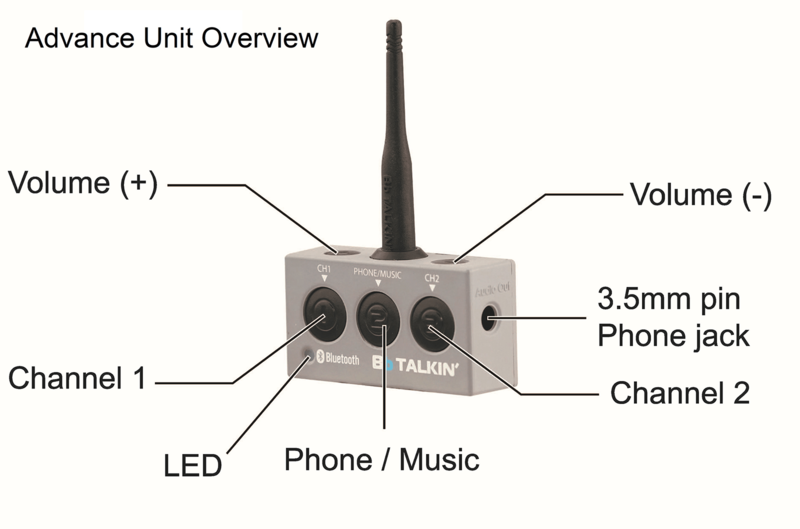 BbTALKIN offers multiple different options for where you can mount your Advance Unit. 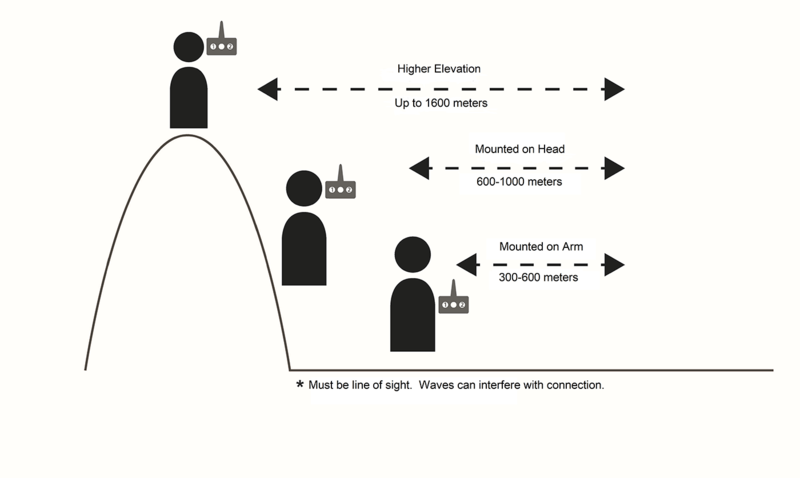 The higher the Advance Unit is mounted, the longer your range is for communication. You can easily move your Advance Unit from one location to another. This gives the customer the option to use their Advance Unit for multiple different applications. You can mount your Advance Unit on a helmet, hat, arm band or clip. The Advance Unit has it’s own built in long range Bluetooth, FCC approved. Bluetooth connects by line of sight. Take your Advance Units out of the box and securely screw in your head accessory. To connect, press the Blue No. 1 or the Red No. 2 button once (0.5 seconds). You only need to press one of the buttons. After pushing either button, wait for both units to announce, “connected.” You can now start to talk. If you wish to dis-connect, it is the same as connecting. Press either the Blue No. 1 or Red No. 2 button once (0.5 seconds). If you go out of range, your Advance Units will disconnect. 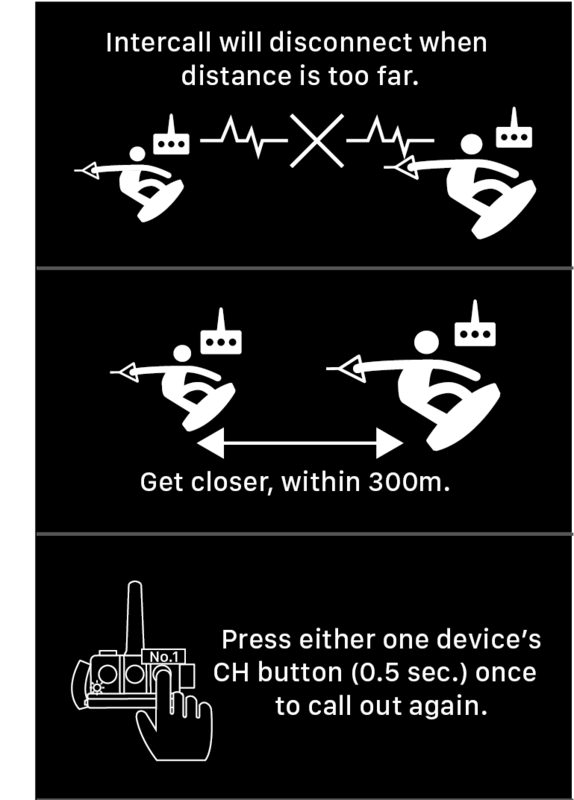 To re-connect, get within 300 meters and press either the Blue No. 1 or Red No. 2, once the units announce, “connected” you are ready to talk again. To turn off your Advance Unit, hold the center button until you see a red light. (3 seconds) It is the same button to turn the Advance Unit on or off. For additional instructions on pairing to other Advance Units, please visit our instructions page. While your Advance Unit is OFF, press and hold the center button until you see the light flashing blue and red. 1. Here is a link to download the BbCAM App directly. 7. When playing back video, turn Bluetooth off to hear audio. 5. 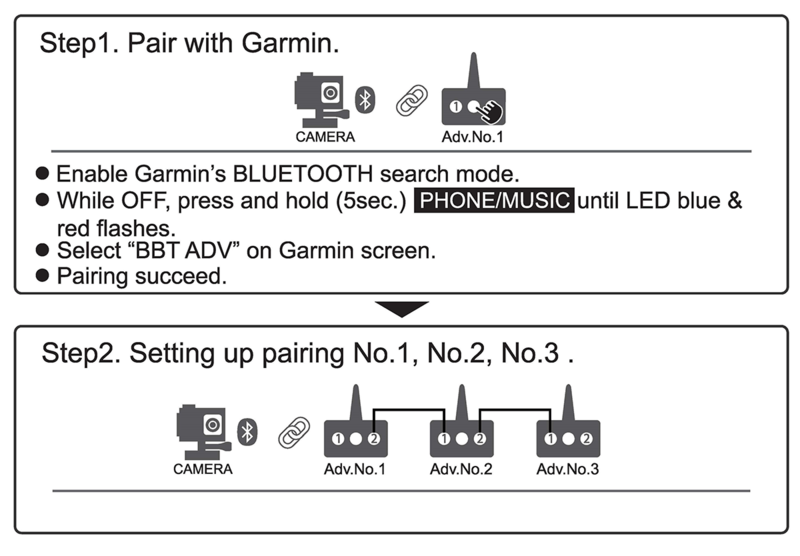 You can now start recording video with live audio feed into your Garmin. © 2019 BbTALKIN’ USA | All Rights Reserved.